Dreamfoil Creations has released the long-awaited Robinson R22 for X-Plane. Details and purchase at the X-Plane.org Store. -High quality 3D Pilot and weight representation. SoulMade Simulations has announced development of the de Havilland DHC-2 Beaver for X-Plane. - custom sound by using plug-ins, and not just the engine. You will hear much more! Lionheart Creations is offering 50% off on the Kodiak and Epic for FSX and FS2004. Sale Ends October 16th 2011. Turbine Sound Studios (TSS) has posted the first development video from the Douglas DC-10 Sound Package. Orbx has updated their scenery libraries to version 111014. Download at the Orbx Support Website. FSAddon has posted several work in progress screenshots from the upcoming Lockheed Hudson. Devinci Design has posted the first development video from the upcoming San Diego Intl. Airport (KSAN) for FSX. Carenado has released Service Pack 20111014 to the Beechcraft A36 Bonanza for FSX. Aerosoft has posted new preview pictures from the upcoming PZL-104 Wilga for FSX. Gilles Faulmeyer and the Restauravia Team have released the freeware Nord 3400 Norbarbe for FSX at AVSIM. Angelo Tassoglou has released the freeware Nomos Irakliou and Lasithiou photo scenery for FSX. Download at AVSIM. Jason Chandler has updated the Cirrus SR2X series aircraft for X-Plane. Available at AIR.C74.NET. Tom Curtis has posted more screenshots from the San Francisco International Airport (KSFO) scenery for X-Plane. 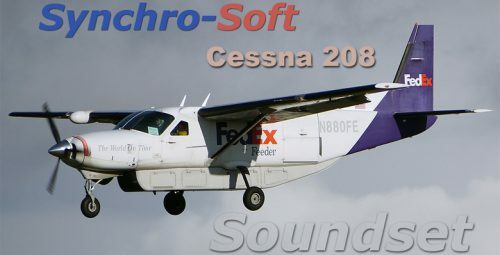 Synchro-Soft has released the Cessna 208 Caravan Soundset for FSX. Details and purchase at SimMarket. Pacific Islands Simulation has posted the first preview teasers from the upcoming Puerto Vallarta (MMPR) scenery for FSX. Another preview picture has been posted from the San Pedro de Atacama (SCPE) project for FSX and FS2004. McPhat Studios has posted several previews from the upcoming freeware PMDG 737NGX Ryanair Livery for FSX. PMDG has has posted the first livery preview from the -600 variant of the Boeing 737NGX for FSX. Another video has been released featuring the Orbx Skagit Regional (KBVS) and Anacortes (74S) sceneries for FSX. Orbx has posted more preview images from the soon to be released Anacortes Airport (74S) scenery for FSX. feelThere is offering a 40% discount on all Mike Ray e-books. Valid until October 22nd 2011. Aerosoft has posted new development previews from the Rockwell OV-10 Bronco for FSX. Dietmar Loleit has released the freeware Head Up Display (HUD) for FSX. Download at AVSIM. The Microsoft Flight Team has posted several new preview screenshots from the upcoming simulator. Onet Valley has released Wattay Intl. Airport (VLVT) for FSX. Now available to purchase at SimMarket. PMDG has has posted the first livery preview from the -700 variant of the Boeing 737NGX for FSX. A-Flight has posted several night lighting previews from the upcoming Helsinki-Vantaa Airport (EFHK) for FSX. FlightSim Developers (FSD) is offering October Savings Discounts with 25% off select items. Until October 31st 2011. The freeware Toncontín International Airport (MHTG) for X-Plane is now available to download at X-Plane.org. JRollon has announced development of the HTML5 based Remote CDU update to the Canadair CRJ-200 for X-Plane. New development renders from the Agusta A109 for X-Plane have been posted in the X-Plane.org Forums. Aubrey has posted previews of the avionics suite from the MD Helicopters MD-902 Explorer for X-Plane. The pre-order beta version of Take On Helicopters is now also available to purchase at SimMarket. Total Helicopter Experience - Both in the air & on the ground. Authentic Flight Model - Incredibly realistic piloting experience. Expansive Rich Environments - Two enormous terrains based upon real-world North American and South Asian data. Range of Modern Helicopters - A variety of light, medium & heavy airframes & cockpits modelled with stunning detail. Sandbox Single-Player Campaign - Offering a huge range of engaging helicopter gameplay. Multiplayer Gameplay - Both cooperative & competitive scenarios available over LAN or internet; sling-load & winching physics. Powerful Mission Editor - Design & create countless customisable scenarios using the intuitive & easy-to-use mission editor. Detailed Weather Simulation - Dynamic time & weather affects flight model. Completely extensible & moddable - Bring your own creations to life with advanced free-to-use tools. Damage & Resource management - Accurate fuel & electrics simulation. Detailed tutorials & carefully designed gameplay - Caters for new players & enthusiasts alike. Majestic Software has posted another video demonstrating the simulation of icing on the upcoming Dash 8 Q400 for FSX. McPhat Studios has posted more comparisons from the upcoming PMDG 737 NGX High Definition Textures. LHSimulations has posted more preview pictures from Pécs-Pogány International Airport (LHPP) for FSX. FSAddon has released updated textures to Real Earth Dolomiti X - Tre Cime for FSX. More information here. 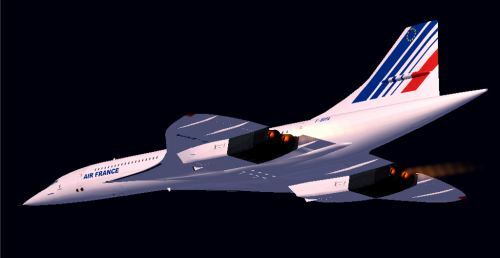 Libardo Guzman has released the final version of the freeware Aérospatiale-BAC Concorde 2011 for FSX and FS2004. Timothy Marson has released the freeware Three Sisters Range photo scenery for FSX. Download at AVSIM. Christer Häberli has released the freeware Salzgitter-Druette Airport (EDVS) for X-Plane. Download at X-Plane.org. Tom Curtis has announced development of the Golden Gate San Francisco scenery for X-Plane. The Vitavia Sikorsky SH-3 Sea King for FSX is now available to purchase at SimMarket.